Under construction, move-in Spring 19. 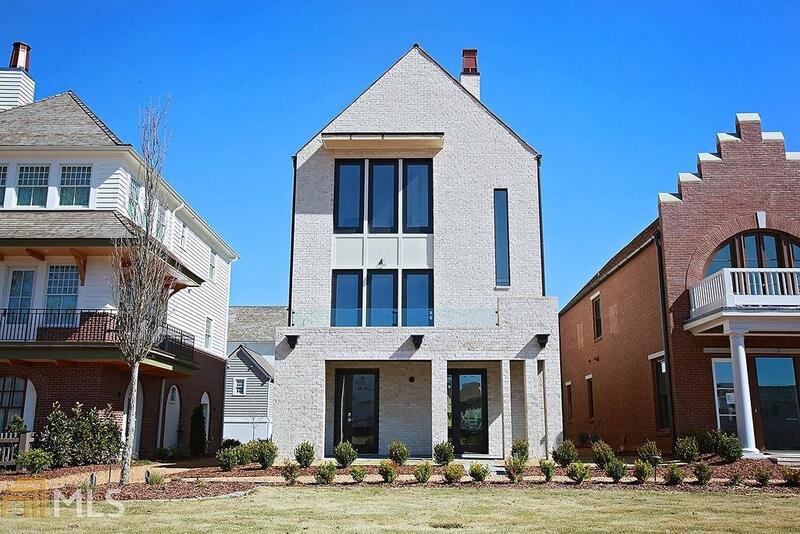 4 bed/3.5 bath, 3stry Bellamy Village home has impressive floor plan. 2nd flr w/10&apos; ceilings, lrg living rm w/fireplc opens to balcony overlooking Triangle Park, kitch w/walk-in pantry, dining area, powder rm & laundry. 3rd flr offers master suite w/walk-in closet, 2 add'l beds, bath & flex space. 1st flr featrs guest suite that opens to terrace. Elevator capable. 2-car garage. All homes are built following Pinewood Forest Green Building standards & use Geothermal energy heating/cooling & pre-wired for electric charging station.